Kanpo is a Japanese word meaning the use of traditional herbal formulas. 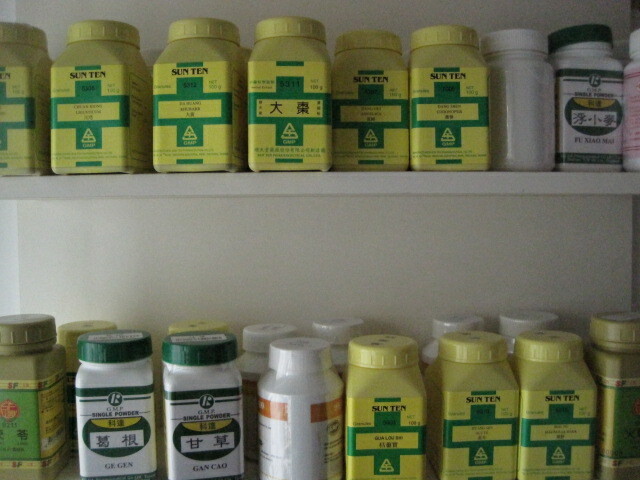 In Japan herbal formulas have been increasingly popular with both Doctors and public alike, with 148 formulas approved by the Food and Drug Administration . The formulas used in Kanpo derive largely from the early historical period of Chinese medicine and thus are thought to have stood the test of time in terms of safety and effectiveness. Typically they come as a power or pill to be taken 2-3 times a day, either by themselves or alongside acupuncture or other forms of therapy. For initial consultations are allow up to 60 minutes if acupuncture is also used or 40 minutes for herbs only. Follow up sessions last around 30 minutes (longer if combined with acupuncture or bodywork). Formulas are sometimes mixed at the time of treatment but in some cases are ordered and posted the following day. We use both granules and also dried bulk herbs either in their normal form or powdered form.